Eighteen-year-old Muriel Jorgensen lives on one side of Crabapple Creek. Her family's closest friends, the Normans, live on the other. For as long as Muriel can remember, the families' lives have been intertwined, connected by the crossing stones that span the water. But now that Frank Norman-who Muriel is just beginning to think might be more than a friend-has enlisted to fight in the First World War, the future is uncertain. Muriel is opinionated about the war and women's suffrage, but she is surrounded by people who advise her to keep her opinions to herself. Now she must find a way to care for those she loves while becoming the person she is most truly meant to be. 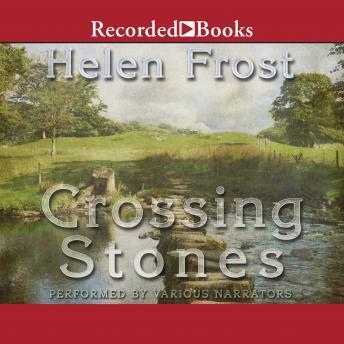 Written in beautifully structured verse by Printz Honor Book author Helen Frost, Crossing Stones captures nine months in the lives of two resilient families struggling to stay together and cross carefully, stone by stone, into a changing world.